Inheritance tax is a tax paid by a person or persons who inherit the estate (money or property) of a deceased person. In some jurisdictions, the terms “estate tax” and “inheritance tax” can be used interchangeably. In the United Kingdom and some Commonwealth countries, the tax is also called the “death duty” but not in the legal context. 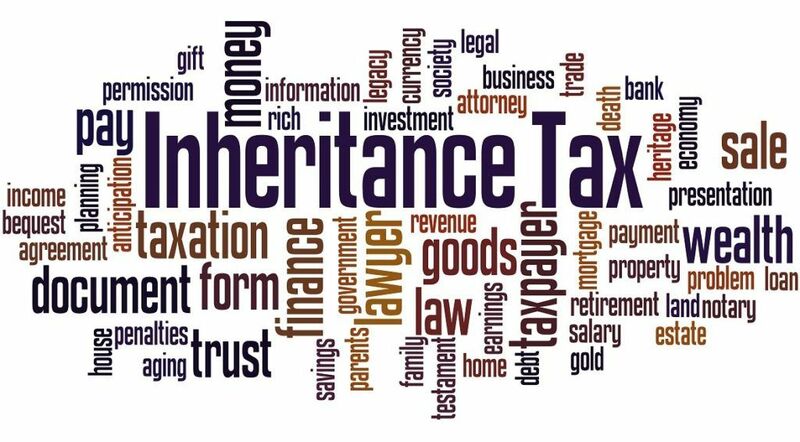 The inheritance tax is essentially collected from the heirs or beneficiariesContingent BeneficiaryA contingent beneficiary is the back-up, second to the primary beneficiary, who is set to receive proceeds or benefits from a deceased person’s assets. The benefits can be in the form of insurance, retirement, or inheritance. of the estate of a deceased person. The tax is payable upon the transfer of the estate to the beneficiaries. In most cases, each heir is responsible for paying its own inheritance tax based on the portion of the estate inherited. The relationship the deceased person and the beneficiary may impact the necessity to pay the inheritance tax. For instance, spouses are generally excluded from paying the tax. In addition, the entities and organizationsTypes of OrganizationsThis article on the different types of organizations explore the various categories that organizational structures can fall into. Organizational structures that receive the estate as a charity donation from the deceased person are not required to pay the tax as well. The lineal descendants, including parents, children, siblings, and grandparents, as well as remote relatives and non-relatives, typically must pay the inheritance tax. However, the remote relatives and non-relatives generally face a much higher tax rate compared to the non-relatives. Generally, the tax is imposed based on the value of the estate. In certain scenarios, if the value of the estate is below a predetermined benchmark, it will not be imposed. The inheritance tax is not present in all countries. Some forms of the tax exist in Belgium, Denmark, France, Germany, Italy, Japan, the United Kingdom, and the United States. Note that in the US, some states do not impose such a tax. At the same time, some countries such as Australia, Canada, Hong Kong, Israel, New Zealand, and Russia no longer impose the inheritance tax. Instead of the tax, some of the countries impose capital gains taxCapital Gains TaxCapital gains tax is a tax imposed on capital gains or the profits that an individual makes from selling assets. The tax is only imposed once the asset has been converted into cash, and not when it’s still in the hands of an investor. on the asset’s sale or ownership transfer in case of the death of the owner. Strictly speaking, inheritance tax and estate tax are two different terms. While the inheritance tax is applied on the transfer of the estate from the deceased person to his or her heirs, the estate tax is imposed on the net value of the estate as of the date of death. However, the true meanings of the two terms vary among jurisdictions. In some jurisdictions, both inheritance and estate taxes are imposed. In this case, a beneficiary may be taxed twice.